Any part of great health includes physical activity as part of fat management, plus gives us energy! Lift heavy things, play with children, join a fitness class that you can do with friends! I believe we should always lift weights, but those weights can be real life things like laundry, groceries, or become a server part-time, like me! To maintain a healthy body we have to move it! Give yourself the gift of movement to add to your longevity. You deserve it and it truly does not take a lot of time. For me, my goal is not to live to a ripe old age, it is to live to a ripe old age with suppleness and agility. Do something that you think is fun and you will most likely stick with it. Add a buddy and you will most likely stick with it for a long time together. Swimming releases the impact on the spine, allowing our body to feel sleek as we glide through the water. Things we cannot perform well with physically on land, we can usually do better in the water. Let your inner fish out! Yoga allows the union of the mind and body, adding in flexibility and agility the longer we practice. Yoga is a moving meditation, which allows us to be free from all other daily stresses. Do it. You won't be sorry! 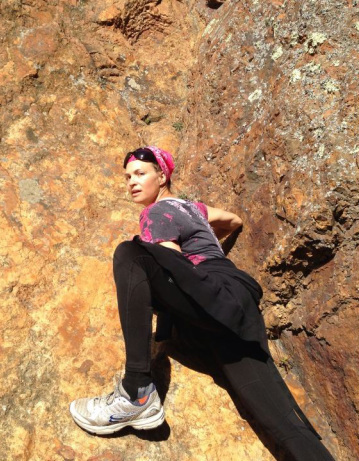 Climbing and hiking uses our leg and buttock muscles, as well as our back and arms. Our heart rate increases and we get the bonus of the beautiful view when we reach the top. Being outdoors entices the five senses too! The body needs to move. Movement is important for the other parts of our life. When we sweat, get a pump from hiking, running, dancing, or exercise class, the happy hormones are released. Our life is enhanced. Cycling allows us to move faster than we ever did when we were running. The wind in our hair gives us a sense of freedom. Biking can be done indoors or outdoors too! Please click on heading named Health & Nutrition for more information.